West Country’s Finest Hog Roast! For your wedding , function or your Show we can serve indoors or outdoors from one of our Specialist mobile catering units. Served with all that you have come to expect from a Hog Roast , stuffing , gravy , and apple sauce too. 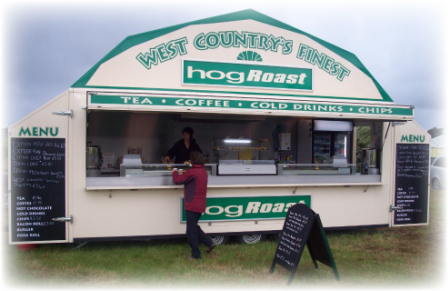 So please get in touch to discuss all your Hog Roast mobile catering requirements.